In Italy food is about well-being. Sharing recipes means keeping traditions, culture and people alive, healthy and thriving! Christina Pacella, mother, woman in love, author, speaker, born in Canada based in Italy. Good food makes for a healthy, long life. It’s not unusual to hear about people celebrating their 100th birthday in Italy and in countries where the Mediterranean diet is lifestyle. 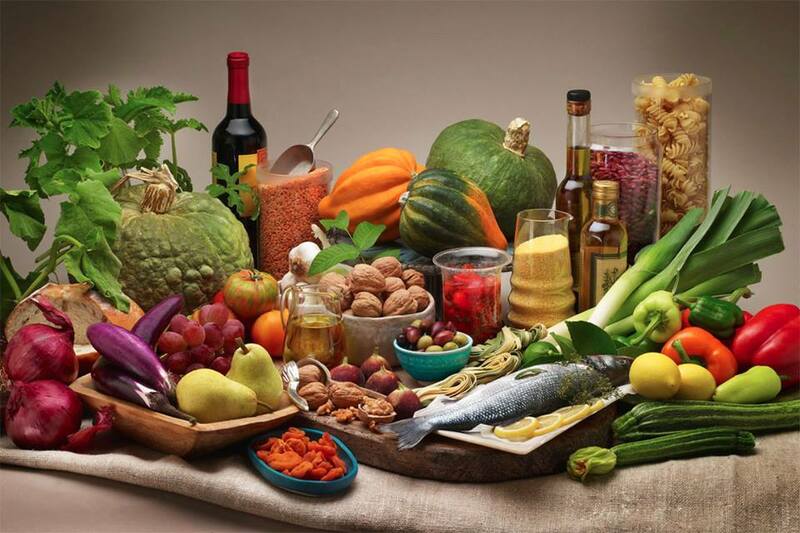 The words that better describe the characteristics of the Mediterranean diet are: natural, balance and simplicity. It is in prevalence a “vegetarian”, “organic” and diverse cuisine. We use local, in season, fresh or naturally preserved foods and ingredients in our recipes. Whole wheat grains and cereals are consumed every day, vegetables, fresh fruit, condiments, raw sweeteners, extra virgin olive oil, nuts, almonds and hazelnuts as well. To all of the above we integrate a variety of legumes, dairy products, eggs, white meats, fish and sporadically red meat. The beneficial effects on our health, thanks to this diet, physical activity and proper amounts of rest and sleep, are countless. However, despite Italy being blessed by an abundance of all the wonderful products I listed above, medical conditions such as: obesity, hypertension, diabetes, cardiovascular disease and tumors affect people of all ages. According to the Italian Society of Pediatrics, two children out of ten are overweight, one out ten suffer obesity. To reverse this dangerous tendency a conscious social effort must be made to preserve the bond between humanity, nature, culture and traditions. On a practical level this means bringing the family back into the kitchen. It means preparing meals together, enjoying food and one another’s company around the table. I was fortunate. I grew up with my Italian grandparents. My grandfather was a baker and my grandmother made homemade pasta every week. In our home cooking was as natural as breathing. I don’t remember learning how to cook, I just cooked and continue to do so every day for my family. It’s not a chore, it’s a pleasure. When Christmas, Easter or other special festivities roll around, cooking becomes a celebration of our traditions. Being together is a joy I cannot imagine living without. We try to stay away from big grocery stores and buy at the local farmer’s market. My 85 year old father-in-law grows a vegetable garden all year around. He’s tought us all (including our children) how to plant many different kinds of greens. He makes honey with the help of a friend and, the only eggs we eat are the ones our chickens so generously give us. One of the biggest advantages of the Mediterranean diet is it’s simplicity. It takes very little time to prepare a delightful dish. This makes it suitable for most schedules and gives everyone the possibility to learn how to cook and have fun doing so. The secret lies in the ingredients. They must always be fresh and genuine. At the moment here in Italy it’s artichoke season. There are many ways to prepare this very nutricious veggie. One of our favourites is artichoke and potatoe frittata (omlet). I have it on the menu this evening for dinner with a beautiful tossed salad and vinaigrette condiment. Artichokes have many beneficial effects on our health. If you are interested in learning about them and would like to try out my artichoke and potatoe frittata recipe please feel free to visit my website. Ciao for now and watch out for more news and recipes from the Mediterranean basin! by Nancy B. Emerson Lombardo, Ph.D.